In a year when Britain celebrates Charles Dickens 200th birthday another great British author,Thomas Hardy, is suffering outrageous neglect by one of the great guardians of our heritage, the National Trust. 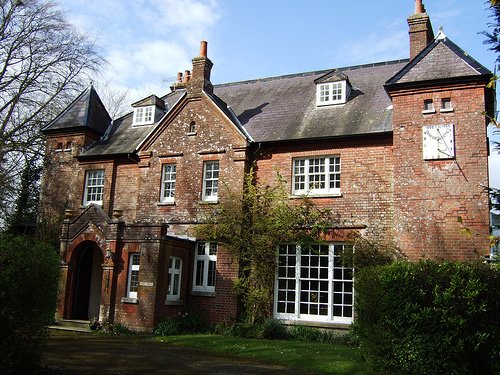 The author’s birthplace in Higher Brockhampton, just outside Dorchester and his rather grander home, Max Gate, where he died in 1928, on the outskirts of Dorchester, are both owned by the National Trust. You could however be forgiven if you knew nothing about both the humble cottage and the grand home of the author of Far From the Madding Crowd. For the new National Trust 2012 guide gives just a short mention of the birthplace and is positively misleading about the bigger home Hardy, also a qualified architect, designed himself. Readers searching for the opening times for the birthplace cottage can find them in the guide-Wednesday to Sundays 11-5 but don’t go looking for when to visit Max Gate- you are told to ring the trust’s West Dorset Office instead. What the guide doesn’t tell you is that Max Gate is open exactly the same times as his birthplace – but the NT couldn’t get its act together in time to tell anybody this year. All this is compounded by a daft decision by the Highways Agency responsible for erecting tourist signs giving people directions to both places. These brown signs are meant to direct people to places of interest – and most National Trust properties get one. But not Mr Thomas Hardy. The two homes are both just off the busy A35 on its approach to Dorchester and on the Dorchester by-pass and managed by the Highway Agency. But look for sign on the A 35 in vain. There are none. And the irony is in the case of Max Gate millions of motorists pass within 100 yards of the property totally oblivious of its existence. Of course this could be remedied by Dorset County Council -in charge of tourism and signage off the major highways – but they have done nothing. Not a sign in sight in the centre of Dorchester on how to get to Max Gate. Indeed there are more directions for dinosaurs and a Tutankhamen exhibition ( not part of Dorset’s heritage but I stand to be corrected) than poor neglected Mr Hardy. His study, restored at Dorset County Museum does get a mention, but unfortunately the opening hours of museum do not coincide with those at the National Trust. Hardy is as much part of out literary heritage as Dickens or Jane Austen. In his time he was the equivalent of an A list celeb – according to the excellent visitor’s book kept at Max Gate – which records visit to his home from Robert Louis Stevenson and composer Gustav Holst. His novels have translated into memorable films, Julie Christie’s performance in Far From the Madding Crowd, being one. Yet it would appear – despite valiant efforts from enthusiastic volunteers at Max Gate ( predating Cameron’s equivalent of the Big Society) – the powers that be at the National Trust, the Highways Agency and Dorset County Council care little about one of the country’s literary giants. Something should be done. 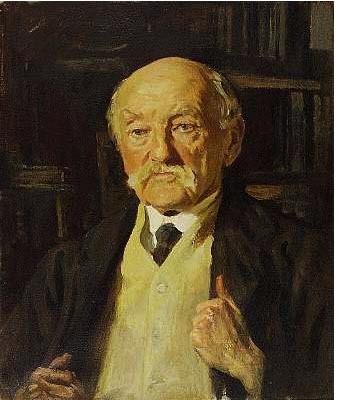 I urge people – frustrated like me on the search for Thomas Hardy – to email them in protest at their neglect. The director general of the National Trust is Dame Fiona Reynolds. Her mail is fiona.reynolds@nationaltrust.org.uk . The chairman is Sir Simon Jenkins, journalist and author and can be contacted at simon.jenkins@guardian.co.uk. The minister responsible for the Highways Agency is Mike Penning. His direct e-mail is mike.penning@dft.gsi.gov.uk and the chief executive of Dorset County Council is David Jenkins. His e-mail is d.h.jenkins@dorsetcc.gov.uk . It is time that this shameful neglect ended. One would have thought Dorset would want to celebrate rather than hide one of its famous sons. It does bring tourist revenue to the county. And the National Trust might have just a more than passing interest in encouraging more visitors. “I hope it doesn’t come as too much of a surprise that we at the Hardy Society are very aware and can identify with your frustrations you detail on your blog. I have myself been involved with a ‘working group’ for a couple of years under the promising title of ‘Hardy Country’, whose members include the National Trust/West Dorset Disrict Council/Dorset County Council etc etc etc!! We have discussed on a number of a occasions the lack of ‘brown’ signs and lack of promotion of Max Gate. In fairness to the NT, their national handbook had to go to the printers very early, apparently before the Max Gate opening times had been agreed regionally. They have this year (and last year) issued an attractive booklet entitled ‘Discover Hardy Country’, which links in Hardy’s birthplace/Max Gate and T.E.Lawrence’s, Clouds Hill, just up the road near Wareham. This is helpful. There is now a strong working relationship developing between us here at the Society and the NT,including regular meetings. Nicola Andrews, Assistant Director, Operations (Dorset and Wiltshire) writes: “The National Trust firmly believes that Hardy was a novelist and poet of the greatest merit, and we are passionate about finding ways to deliver increased access and public benefit from the Hardy places in our care. We are committed to improving the experiences at both Hardy’s Cottage and Max Gate. As you noted, we are blessed with having wonderful teams of volunteers and staff who help us achieve this. The teams at Hardy’s and Max Gate are fantastic…. When tenants moved out of Max Gate in late 2010, and in line with our desire to increase access, we took the decision to trial opening the full building to the public rather than re-letting it. This was a challenge because we do not own the original contents, were faced with an empty house to interpret, and the loss of rental income. We are realistic in our ambition for Max Gate. It will never be a big visitor attraction because of its location in a quiet residential area. That said, our aim is to make it a fantastic experience for all those who do visit. After a year’s trial, we took the decision to continue opening the full building and through the support of generous benefactors and supporters we are slowly furnishing the house and bringing it back to life as it might have been when Hardy himself was there. 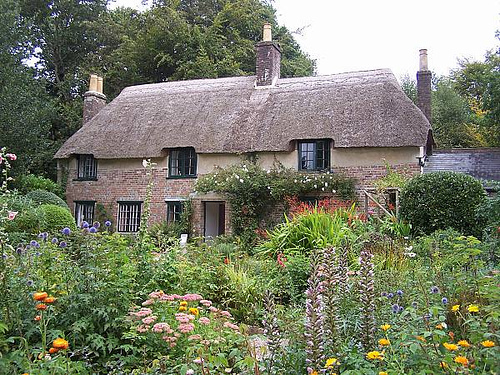 At Hardy’s Cottage, we are working with Dorset County Council and other partners on a bid to the Heritage Lottery Fund for a project to significantly improve visitor facilities and interpretation on site. We hope this bid will be successful, but in the meantime we have recently represented the interior of the cottage drawing out the stories of Hardy’s time there much more clearly. You did not mention your thoughts on the interiors in your blog, but we hope you found the presentation a significant improvement on your previous visit. Our vision is to enable people to experience both the Cottage and Max Gate as they might have been when Hardy and his family lived there: to enable people to sit by the fire with a cup of tea as Hardy and his family would have done; to bring to life his poems and novels encouraging people to immerse themselves in them in his studies and other writing spaces. We are also committed to the partnership which is developing and promoting the broader Hardy offer in Dorset, as outlined by Mike Nixon in his response to you. I am sorry you found it difficult to find Hardy’s Cottage and Max Gate. Signage from the A35 is outside our control but has been a frequent point of discussion between ourselves, the Council and the Highways Agency. We agree that from a visitor’s perspective, and to help us enable as many people as possible to enjoy the Hardy legacy, good signs from the A35 would be invaluable and we would very much like a trial of this. Sean Walsh writes :”I’ve looked into the signing for both sites. Although neither is signed from the trunk road, Max Gate House is adjacent to the A35 junction with the A352 (known as Max Gate junction) and has a brown sign just off the A352 on the local road. Higher Bockhampton, where his birthplace is located, is signed from the A35 at Cuckoo Lane junction and Stinsford roundabout (in both directions), and I understand that there are signs for “Hardy’s Cottage” on the local roads. This entry was posted in town hall, travel, Uncategorized and tagged dorset, national trust, thomas hardy. Bookmark the permalink. Shakespeare, to comment on and beyond the social limits they managed to transcend. I’ve also seen the dinosaur/Tutankhamen exhibition: terrible but very funny, unintentionally, unless you are under the age of five. Er the connection with Dorset & dinosaurs is a bit older than Hardy (see Charmouth beach, fossils etc). Not sure about King Tut. mrs A fossils connection is true but King Tut is bizarre.one interesting sideline is that Hardy was seen as a real snob in Dorchester because he had little to do with the town. He was also a tough magistrate fining people caught running the black market in first world war – his wife was even harangued by some Dorchester residents when she went shopping. Worse than Barnet. mmm, the bit of my comment which got lost was rambling on about Hardy being out of favour, like Lawrence, which is a great shame, as they like Dickens etc were great writers who were educated beyond their class limits, which brought an unusually broad perspective to their work. Mrs Hardy was probably very fed up anyway as Thomas had decided to fall in love with his dead first wife & write her a load of lovely poems, once she wasn’t around to nag him in real life anymore. Must have been rather annoying. Yes, quite interesting, though I preferred Julie Christie with Donald Sutherland in what was that film in Venice. Wonderful acting: or was it? As for Mrs Angry, I’ve taken a look at your blog, and I think you should be ashamed of such unladylike language. And what have you got against men called Brian? Haven’t ever spoken to a Dorchester resident who WANTS to know anything about Hardy, reference to the snob – David H. What I would say is that it’s the wider powers that write the rules, so instead of HA or Dorcester CC bashing, the instruction needs to come from the top. Does the place actually get enough visitors in any case? Assume there needs to be a certain number a year/month? sally P – that why I recommended that people e-mail Mike Penning, the junior transport minister, who is responsible for the highways agency which is in turn is responsible for the tourist signs! That is the top politically speaking!